With almost 150 000 ha of Mozambican indigenous forest available for harvesting in EAFP’s and shareholders’ group’s Goi-Goi, Inhaminga and Gorongoza concessions, with a further 40 000 ha coming on stream in the not too distant future in the Manica province, you’d say that EAFP is spoilt for choice. Not so, says EAFP director, Andre Swanepoel. “In the interests of sustainability, species considered viable for timber production are selectively harvested only once diameters exceed 400 mm,” This leaves those trees that are 390 mm diameter and less, to mature for a further 20 years hence, before qualifying for harvesting,” says Swanepoel. With Mozambique being the centre of EAFP’s operations in southern Africa, concessions are also granted in conjunction with the Mozambican National Department of Forestry with a typical rotation period of 20 years between harvesting and regrowth. No roads are built into the forest to act as extraction points for timber harvested. This is again intentional to limit the extent of EAFP’s environmental footprint during and after harvesting operations. The groundwork for FSC accreditation is also almost complete where after a formal application will be made. Concessions areas are, however, also under threat from slash and burn activities in the area and so too illegal poaching of animals. Slash and burn is the primary means whereby subsistence farmers in the area denude a forest area to allow for one year’s worth of crop before the area is abandoned again. Biological sustainability is, however, only the flipside of the same coin. EAFP, through its activities in Mozambique, has been instrumental in the construction of rural schools and clinics in the area, allowing some of the benefits derived from its operations to improve the lives of rural communities in the area in which they are active. EAFP’s processing plant near the Gorongoza concession is also adding rich reward to yet a further objective of EAFP and that is to allow for beneficiation or value adding of forestry products where harvested, rather than seeing only raw logs exported. EAFP received the prestigious Presidential Award for “Best exporter for value added timber products 2007” and Best Rural Industrialisation Project Mozambique 2008”. In this regard, EAFP is critical of the role of Chinese companies and the Mozambican government’s tolerance of raw log exports without beneficiation. The EAFP Veneer processing plant also allows for some much sought after rural employment opportunities in an area rife with unemployment and poverty. The plant allows for improved living standards, the limitation of non- sustainable agricultural practices and illegal hunting that occurs and by providing for skills development in Mozambique’s burgeoning furniture production sector. A number of species that are harvested by EAFP allow for the range available from the company. In terms of its veneer range, Kiaat, Panga-Panga, Messanda, Afromosia is stocked by EAFP. Also Available in limited Quantities is White Wenge, African Walnut, and Mozambique Olive. 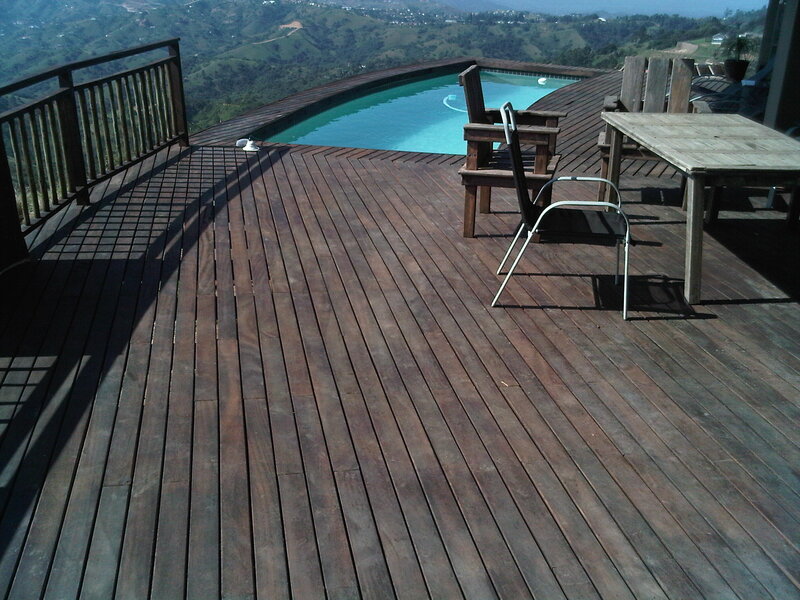 Decking components supplied by EAFP is predominantly derived from Kiaat, Knob Thorn, African Mahogany, Messanda and Tanzanian Teak with logs supplied from government accredited log suppliers in northern Mozambique. With cumulative experience between all shareholders in East African Forestry Products Lda (EAFP) exceeding 60 years, sustainable harvesting programmes, procurement strategies and new concessions firmly in place and a reliable local distribution network providing diverse products, EAFP is comfortably positioned. Panga-Panga, White Wenge, Chamfuta, Afroromosia, Knob thorn and Messanda. FL&B (Framed, Ledged and Braced) hardwood doors are also provided produced from the hard wood species harvested and so too a range of mouldings, which includes cornices, skirting, T & G flooring and panelling. 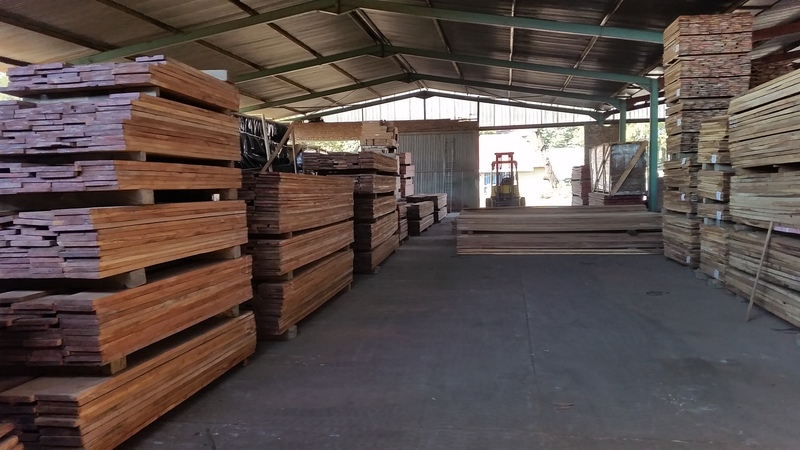 The veneering process is housed together with the hardwood primary breakdown and processing division at the production plant in the Manica/Inchope district. Installed veneer infrastructure allows for cants, once cut to size, to be boiled, boilers in turn powered by offcuts and sawdust derived from production, ie 100% log usage. After 24 hours, the cants exits the boiling process where after a carousel conveyor allows for the continuous slicing of 0,6 mm thick veneer widths. Cants harvested from the same log, are kept together and so too sheets of veneer taken from cants to allow for colour consistency. Upon exiting primary breakdown, boards pass through a Baker resaw, edgers and cross cut saws. Timber is then passed through EAFP’s own kiln facility which allows for requisite drying schedules to be implemented whereafter lengths pass through EAFP’s moulders, which allows for T & G and moulding profiles. The most recent concession that EAFP has made a successful bid for is the 45 000 ha Gorongosa concession which is located adjacent the Gorongosa National Park. The intention there is to combine harvesting activities with eco-tourism initiatives, all spearheaded by EAFP. All of the above, Andre Swanepoel says, will hopefully contribute to his son in future being able to preside over affairs very similar to Swanepoel’s father that originally started in the Mozambique timber business in 1948.